The JBL charge 2 plus portable Bluetooth speaker seems, at first glance, like an unnecessary gadget. If you already have nice surround setup at home or a solid pair of over-the-ear headphones, you might ask yourself in what situations you’d even use a Bluetooth speaker? It turns out the answer is everywhere, all of the time. Portable Bluetooth speakers have shed the crummy sound, abysmal battery life, and lackluster design of past models. The Jbl charge 2 plus can transform any situation the beach, living room, kitchen, and, yes, even the shower — into a surprisingly good music experience. And once you start bringing music with you wherever you go, it’s hard to stop. But it’s hard to know which one to get, it’s easy to get tricked into buying a speaker that looks really cool, but ends up sounding bad or lesser surround bass. And while it may seem like a smart choice to stick with tried and true audio brands, some of the best devices come from brands you might not have ever heard of before. 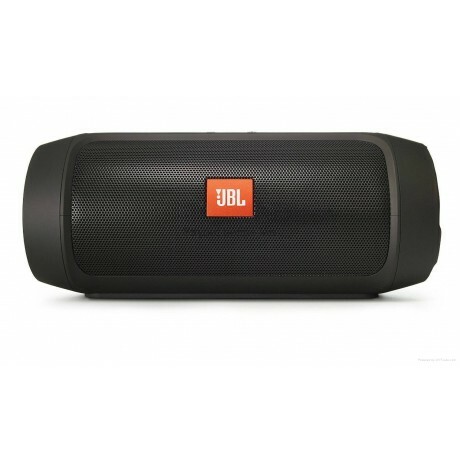 JBL speaker is the ultimate portable bluetooth speaker that effortlessly delivers earth-shaking, powerful stereo sound, this speaker easily keeps your music and your devices going for as long as you need them to. The renewed JBL charge 2+ is an ultra-powerful, ultra-big-battery portable Bluetooth speaker with high-quality stereo sound. Revamped with fresh styles and a Sleek design, the charge 2+ takes the party everywhere be it poolside or dancing in the rain and amplifies the excitement JBL bass radiators. The speaker is powered by a 6000mAh battery that provides incredible long hours of playtime and also used as a power bank to charge other devices. Charge2+ also comes with a built-in noise and echo cancelling speakerphone so you make crystal clear calls with the press of a button. Passive radiators field enough bass for you actually see them trembling from the outside. The built-in microphone allows you to answer calls without skipping a beat. Allows you to wirelessly stream music through any Bluetooth enabled device. This speaker charges your device so you can listen longer and be ready to go at a moment’s notice.